‘Find the Common, Shine a Light’ by Ryan Keberle & Catharsis available now! 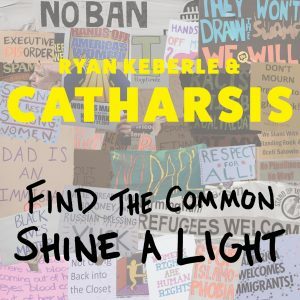 We’re excited to release Find the Common, Shine a Light, the new album by Ryan Keberle and Catharsis. Featuring Ryan’s longstanding group that includes Camila Meza, Mike Rodriguez, Jorge Roeder and Eric Doob, the record features original compositions as well as songs by The Welcome Wagon, Bob Dylan and the Beatles. Check out the video for the track Become the Water. You can purchase the album on Bandcamp and iTunes. The band will be on tour throughout North American this summer. Check all the tour dates to see where they’re playing.